When we posted a piece on Power Balance bands during Pre-Season, to say there was a difference of opinion was an understatement! Some swore by the silicon and mylar contraptions, whereas others dismissed them as a placebo effect at best. 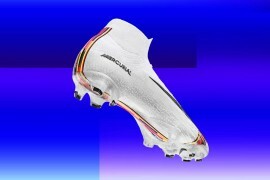 But after seeing an increasing number of pro’s wearing the hologram-bands – including Goldenballs; Mr Beckham himself – we knew that we had to give this a go for ourselves. So, we set about trying to test Power Balance based on opinion from the Footy-Boots.com staff, but that was just as dived as the comments field of that first article, with some FB Staffers boasting their ‘best pre-season yet’ in the bands, whereas others were swift to dismiss them as hoodoo. 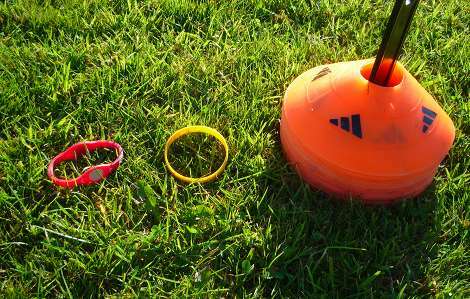 With anecdotal evidence and opinion out of the window, we took Power Balance to the training pitch to see if it would help us complete some of our most hated drills! Each test would be run a total 9 times – 3 times with a Power Balance band, 3 times without and 3 times with one last time of two bands. One of these bands was just a plain LiveStrong band, and the other was a Power Balance band – both were wrapped in tape so looked identical, the reason for this was to test the placebo effect of the band, and see if not knowing which band was being worn effected time. Best time of each run recorded, 90 seconds rest between every run. The perfect test of the Power Balance’s claim of increased balance. 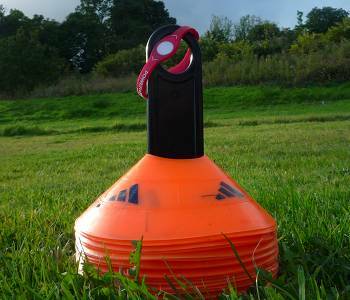 The Arrowhead Agility test requires great co-ordination and deft feet to get right, due to the quick changes of direction required. 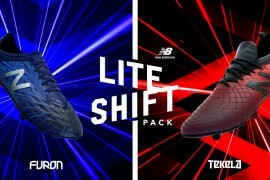 One of the key elements of football nowadays is Speed, (hence the vast influx of lightweight football boots!) – So if Power Balance to decrease the time it takes me to cover 100m, then it’s probably worthwhile. 2 x 50m sprints, with a turn in back to the start. Everyone hates shuttle runs, but they’re a great test of endurance if done correctly – here was my method. 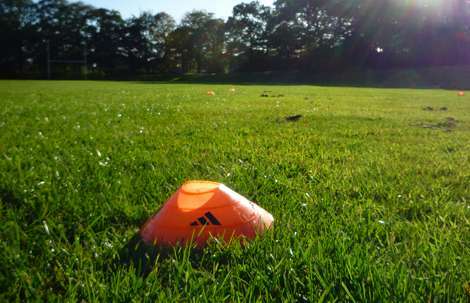 Start on stomach, sprint to first station, sprint back return to stomach – sprint to second station, run backwards to start, sprint to third station, straight sprint back. This variety of shuttle is a great way to test everything the band claims to enhance, with strength, balance and power all being put to the sword. Somewhat disappointingly, the Power Balance band test was drastically inconclusive. When trying to pin down any sort of measurable advantage it had over not wearing one, any time there was one, it was slim at best. 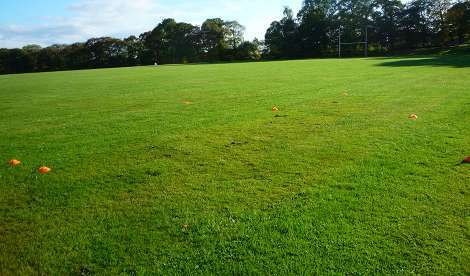 Interestingly, though, whilst the straight-line sprints were a dead heat and the difference in times taken for the agility test was minimal at best, the shuttle runs – the most complex and testing of all three tests yielded the biggest difference. 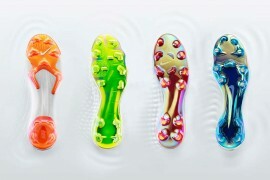 Whether it’s in line with the Power Balance philosophy that it only enhances complex extended periods of physical activity – I’m not sure – but it does explain why most people that wear Power Balance seem claim they feel better on the pitch, rather than a quantifiable improvement on the training ground. That said, for some reason I can’t stop wearing mine for matches – I’m a complete sucker for superstition (I always try and eat the same things before matches, same warm-ups etc.) and after a couple of decent performances in mine, I’m stuck with it! Even though the numbers suggest there’s nothing to it, (even the placebo effect is minimal) I still like to wear it every time I play. Previous articleEXCLUSIVE: FINAL CLUES ON THE HUNT FOR MESSI! please dont waste your money people..
gemma you ent the first one to seriously injure yourself on the first wearing of this. @phil: aw c’mon phil… u can do better than that if u wanna stood up for this item. everybody knows if u got better balance, overall u’ll get faster. 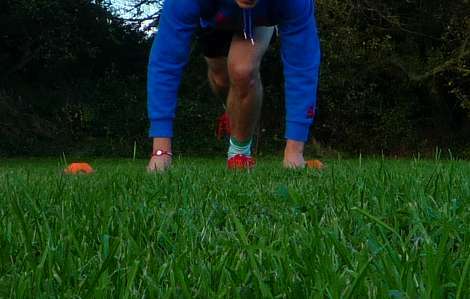 try sprinting with one of ur hand tight to ur back and ur head tilt to one side… or one foot wearing running shoes with high profile outsole and barefoot on the other. 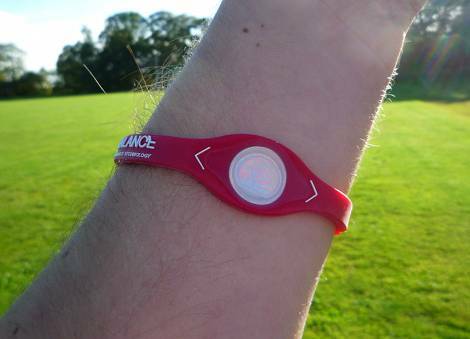 A few days ago,the Amsterdam University came with their research results of the use of power balancing bracelet . The conclusion was: it does not work. It is a scam. Its fake. It hit the news big in our country. It’s a piece of plastic. Anyone who thinks this garbage works is just stupid. It’s all psychological. They are fake but our mind clings on to the small possibility that they are real making us not want to miss out on an advantage. The band is suppose to help with balance, core strength, and flexibility. so the test you ran will of course be inconclusive. And placebo or not people still come into my store specifically asking for the bands and we sell hundreds upon hundreds of them. P.s I believe you should do some balance, core strength and flexibility tests, then you will see some better results. Do it with out the band then with it then without again. and you can see the difference.